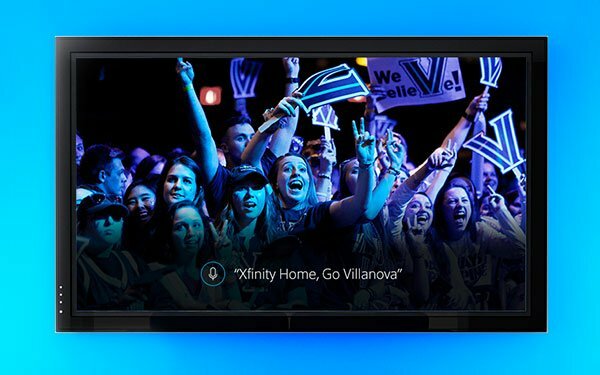 As sports enthusiasts tune in to the basketball games of March Madness, Comcast has added a set of voice commands tailored to the games. Viewers with Xfinity X1 voice remotes, the Xfinity home service and smart color-emitting lightbulbs, such as Philips Hue, can use voice commands to match their light colors to their favorite team. For example, saying “Xfinity Home, Go Villanova” would change the lightbulbs to turn blue and light blue and “Xfinity Home, Go Iowa State” would change them to red and gold, the school colors. All 68 teams have been programmed in. The voice remote also can be used to access information relating to the games. Saying “college basketball bracket” will access a full screen takeover of regional or overall tournament standings. The voice command “college basketball” will take the viewer to the tournament destination in the X1 Sports Guide, comprising related programming, news, highlights and events.